Baseball Reference lists H.A. 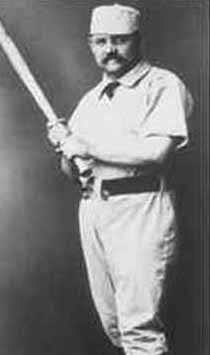 Magendie as a member of the San Francisco Athletics and San Francisco Californias of the Pacific League in 1878 and the San Francisco Eagles of the Pacific League and San Francisco Californias of the California League in 1879. Hippolyte Aloise (some public records have his middle name a Aloysius) Magendie was born in Stockton, California in 1856 and graduated from St. Mary’s College of California in 1875. After his brief baseball career Magendie became a journalist and playwright. His only surviving work I was able to find is a play entitled “Parents by Proxy, A Comedy-Drama in Four Acts,” a copy of which is in the Library of Congress. Magendie died in San Francisco on August 8, 1907.